Outdoor classroom equipment like the Walking Log helps children develop balance, coordination, and body awareness. A unique characteristic of the Walking Log is that it is movable and can be placed anywhere on your outdoor preschool playground. Place the Walking Log next to other balance activities to create an obstacle course or pick up and move the Walking Log to a different area – you can move this balance activity to whatever location best suits your needs for the day. 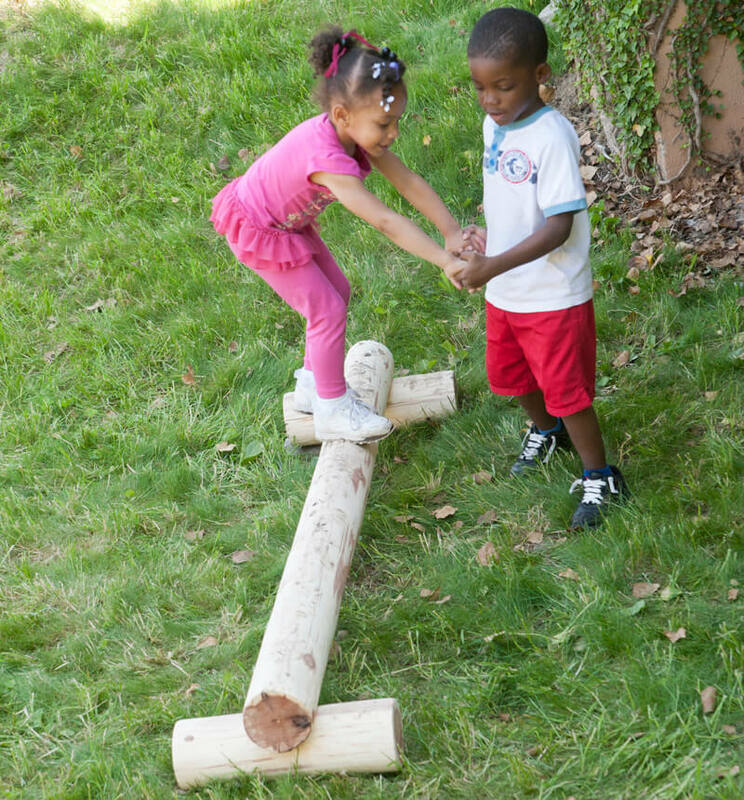 Designed with a cedar log, this balance activity is perfect for a natural playground. The cedar log has a rounded exterior finish providing a different level of challenge than your standard balance activity.